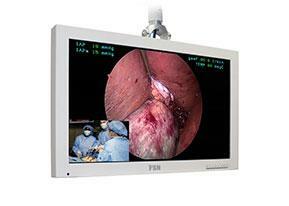 FSN Medical Technologies has solutions for managing your operating room video signals. Our products are engineered and built for compatibility with other highly specialized surgical and diagnostic equipment used in surgical suites, operating rooms, emergency rooms, and procedural facilities. FS-Y1901D is a cost-effective solution that delivers all of the features required for digital HD visualization in the surgical environment. It is part of the FSN family of advanced visual integration components for surgery, designed to give medical professionals the clearest images, and complete control of video signals in the OR. User preset modes allow customized profiles (color settings, screen layouts) to be stored and recalled later. Detect subtle variations in surgical site tissue with motion adaptive deinterlacing and advanced 3D noise reduction. State-of-the-art technology is built into FSN display monitors, ensuring forward compatibility with future video signal standards. FS-L2402D satisfies integrated OR requirements for patient safety, reliability, precision, HD digital images, and unique space requirements. FSN revolutionized minimally invasive surgery by developing new technologies for OR visualization in surgical suites, operating rooms, emergency rooms, and procedural facilities. FS-P2601D, our 26” medical display features a rugged aluminum housing and protective front AR filter that withstands repeated cleaning and disinfection. 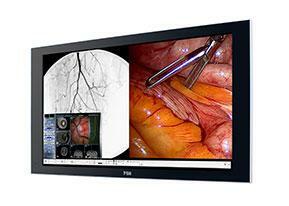 Critical OR procedures demand the accurate, real-time, color images delivered with FSN display monitors. 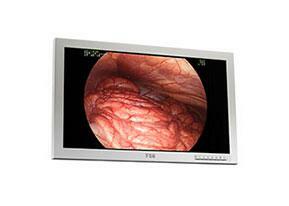 This unit incorporates the latest LCD and front filter technology. 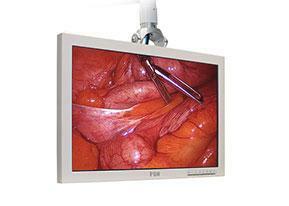 Its high brightness makes it ideal for the high ambient light conditions found in surgical suites. Glare is minimized for a better picture, and a high contrast ratio provides top-tier image accuracy. User preset modes allow customized profiles (color settings, screen layouts) to be stored and recalled later. Integration-ready surgical displays from FSN offer functionality for rapid and seamless deployment in surgical suite applications where many different video signals are present. The luminance and color temperature found in FS-P2603D combine to offer the optimal visualization quality demanded in today’s OR. Settings can be adjusted and saved to match surgical equipment such as endoscopy cameras and fluoroscopy imaging devices. 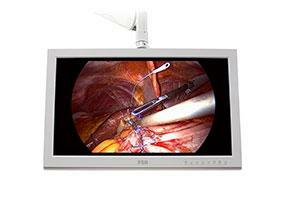 A wide viewing angle lets medical professionals view images from a variety of locations in the OR. - Certified for near-patient use in the sterile field. Medical Technologies has display monitors that lead the way in technology, clarity, and reliability in today’s interventional procedure facilities and minimally invasive surgery suites. 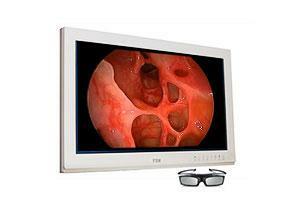 FS-P2607D is our 26” 3D-capable medical display. This unit features advanced motion adaptive deinterlacing, enhanced low-angle processing, improved low-motion detection, and advanced 3D noise reduction. It includes excellent 3D comb filter performance for use with PAL and NTSC applications. These monitors are designed to reproduce multi-modality imaging, using an extensive selection of input connections, and comprehensive signal timing tables. Picture-in-picture or picture-by-picture screen layouts can be fully adjusted for size and position, giving surgeons the flexibility to work with video images tailored to their preference. FSN display monitors are designed without an internal fan. This eliminates the spread of contaminates and makes the monitor better suited for the sterile field in an operating room. 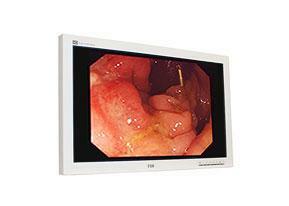 FSN’s 27” touchscreen medical display is ideal for manipulating images in multi-modality settings that incorporate endoscopic cameras, ultrasound, cardiology, room or boom cameras, patient vital signs, and more. 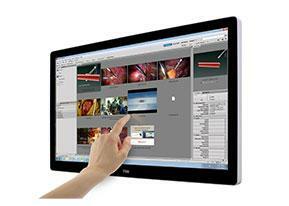 It displays images in high resolution, and is compatible with major MIS camera systems in use. Enable clinical efficiency and quick OR turnaround with fast disinfection of the smooth front glass surface found on FS-L2701DT. Today’s integrated operating room must allow surgeons to visualize all aspects of a minimally invasive procedure. FS-S4601DT, our 46” touchscreen medical display, shows images with accurate color, and features a multi-touch screen for precise image manipulation. This monitor will display artifact-free, broadcast quality video, with near-zero latency. It offers fast signal recognition using robust built-in timing settings, and uses picture-by-picture to display two video signals from different medical devices on the same screen. 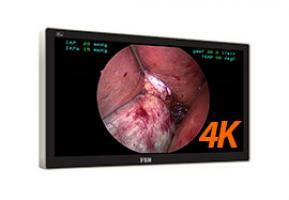 Medical Technologies has developed solutions for dis-playing 4K video signals. This cutting-edge technology has been engineered for medical visualization applications to allow surgeons to see live video images with incredible resolution. It allows the doctor to view intricate hand movements on-screen, and control medical visual content with pinpoint accuracy. 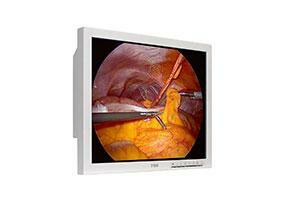 FS-P3101D can fine-tune surgical color and layout settings to individual preferences. - 4K UHD resolution (4096 x 2160 pixels). - High brightness LED technology. - DVI and DisplayPort inputs. - Rapid signal detection, robust mode tables. - Built to last, rugged aluminum housing. - Calibrated to clinical color. - Image mirror, rotate, pan, zoom, freeze, and picture-in-picture. 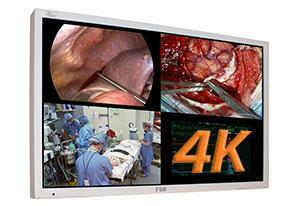 This 55” 4K UHD medical display helps doctors focus on critically important procedure decisions, and be confident with precise instrumentation positioning by viewing the highest possible image clarity. Detailed picture quality makes it easier to see recessed surgical-site anatomy under high ambient light environments commonly found in minimally invasive applications. Flexible multi-display technology allows for extensive screen layout options using picture-in-picture, picture-by-picture, and quad screen layouts. - Ultra‐high resolution (3840 x 2160 pixels). - Quad HD high definition picture.